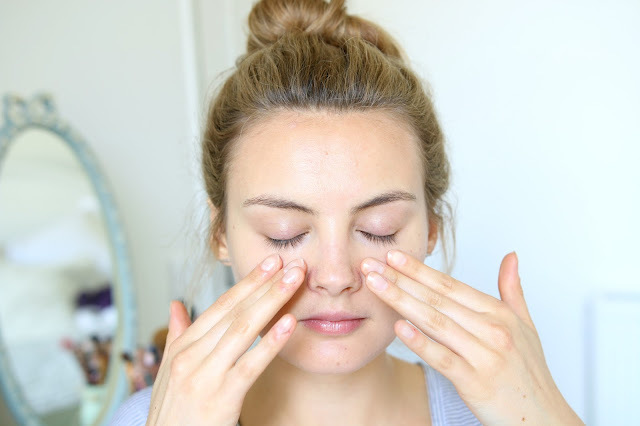 This blog post is a paid for advertorial in collaboration with Origins. As you all know I’ve recently completed running the London Marathon, which has been both an energising and invigorating experience for my body. The intense training has been such a learning curve and I’m listening to my body now more than ever. I’m at a point in my life where my health is at the forefront of so many decisions I make whether it be what meals I can prepare on a Sunday night before a busy week of meetings, or making sure I always pack a water bottle in my bag so that I’m hydrated, to what ingredients I can come up with for a twist on my favourite smoothie. This is why I was really intrigued when I heard about the new By All Greens range from Origins. I’ve tried and tested a lot of green smoothies and you can guarantee they always incorporate those super hero ingredients Spirulina & Spinach, so when I found out that Origins had brought out a face mask containing these superfoods with the addition of Green Tea (another one of my favourites! ), I was dying to try it out. If it’s good for detoxing my body then I had no doubt I would feel the benefits on my skin too. 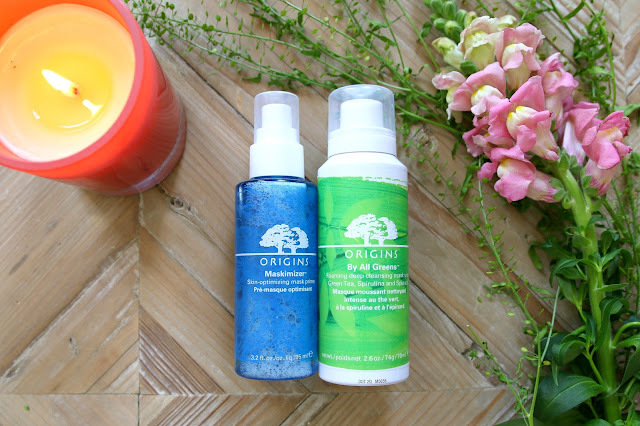 Before I apply the By All Greens mask, I spray my face lightly with the new Origins Maskimizer*, a primer mist that prepares the skin for the face mask, and gently pat it into the skin. 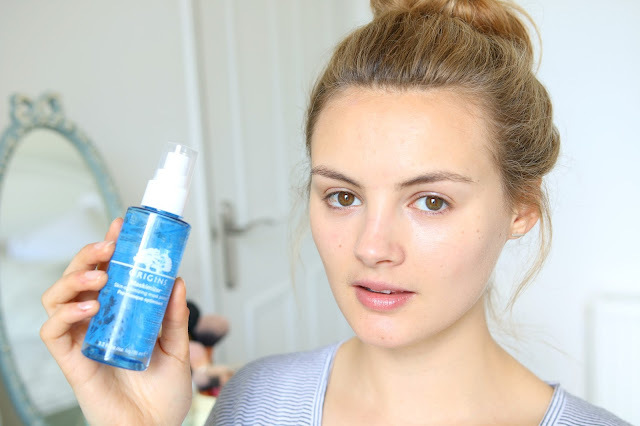 It contains marine algae, which feels so hydrating and refreshing. 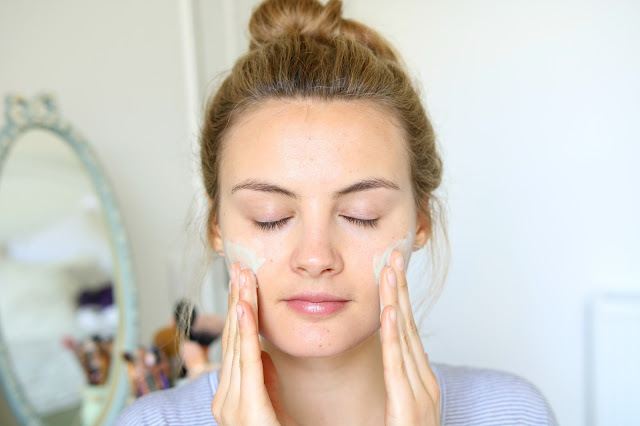 If we use a primer to prepare our skin for makeup, why not use a primer to get your skin ready for a face mask to achieve the most benefits. 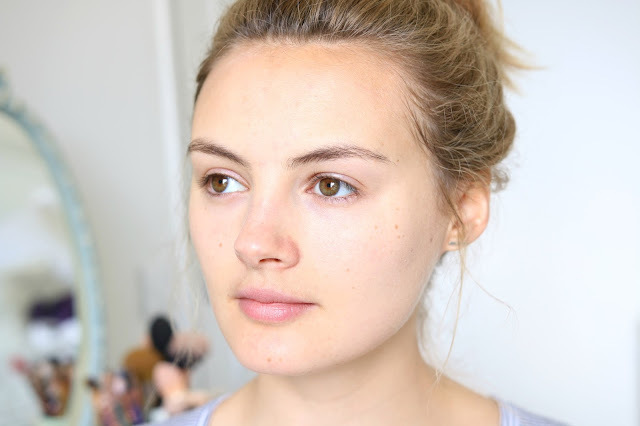 I’ve really noticed how much smoother masks are applied onto the skin after using this primer, and how much easier it is for skin to absorb it. 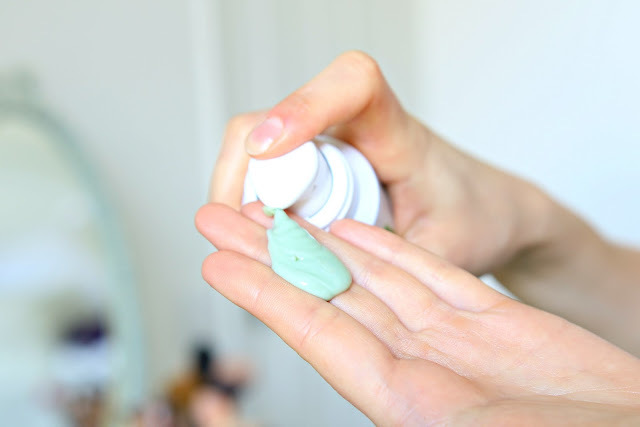 Once I’ve primed my skin, I apply the By All Greens* mask, which is a two-in-one, self-foaming green clay mask that provides the penetrating treatment of a detoxifying mask while also delivering the purifying power of a high-performance cleanser, revealing radiant and refreshed skin. My schedule is so busy right now which is why it makes such a difference to be able to rely on one product to really work hard on my skin. I have been using this once a week, usually in the evening when I have a bit of spare time to look after my skin and pamper myself. You smooth the green clay over the skin without rubbing it in too much, and wait for it to foam up on its own. The sensation is so satisfying and you can actually feel it working! After a few minutes, you use warm water to wash it off to reveal silky smooth skin. The perfect detox! Since its inception in 1990, Origins has been scouring the earth to uncover the most efficacious plants to create high-performance natural skincare products. This process has allowed Origins to turn to nature for inspiration and science for validation, utilising a blend of organic ingredients and 100% natural essential oils. Origins products are always sourced from sustainable regions and are manufactured using a combination of renewable resources, wind energy and earth-friendly practices.